This celestial beauty adds a whole new dimension to time. At first glance, the GV2 Powerball Big Date watch is unlike any timepiece you’ve ever seen. The unique, multilevel 3-D dial is simply spectacular. The stainless steel outer chapter ring features a sculptural horizontal bridge that ties the 9 o’clock and 3 o’clock indicators together. The cut-away center of the dial reveals several layers underneath, where you can see the inner workings of the big date indicator at 12 o’clock and a continuous small second hand with a raised dial and bright yellow hand at 6 o’clock. This intricate and artfully designed timepiece is powered by a high quality Swiss-made quartz movement that has been engineered to provide years of reliable service. The PVD coated black stainless steel case is water resistant to 165 feet and comes fitted with a matching black PVD band that ties the entire design together. With its signature multi-colored, red tipped hands for hours and minutes, this watch will garner attention and start conversations wherever you go. Like all GV2 watches, the GV2 Powerball Big Date represents a tremendous value. The fit and finish on this fine Swiss made timepiece is second-to-none. 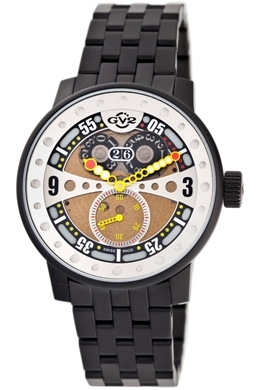 The unique, fashion-forward design provides adventurous watch aficionados with a whole new way to enjoy Gevril quality. If you’d like to experience what it’s like to wear a work of art on your wrist, look for your nearest authorized GV2 dealer and reserve your GV2 Powerball Big Date watch today. Once again, this is a watch own, but I have the limited edtion with two bands. 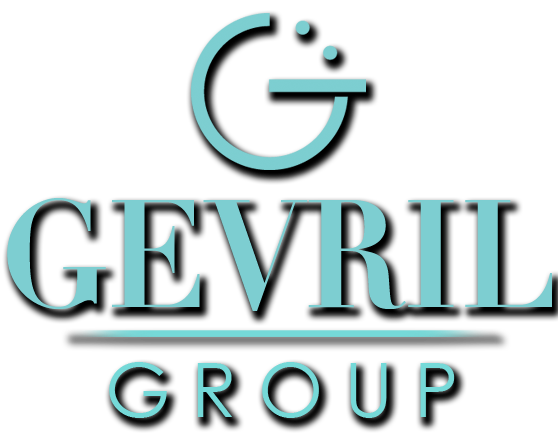 It is an amazing watch and like my other Gevril’s I receive plenty of wonderful feedback from others. Some who at the time were wearing a much more costly watch have actually asked to try mine on and asked for the contact to order one for themselves. It does make a person feel pretty good, when others ask about your watch and actually decide to order one. Thank you again Gevril for making such a wonderful watch.